Here’s a sign of economic growth that most people overlook: The landfill business in Michigan is booming. The amount of waste sent to landfills continues to grow from a low point in 2012. Though recycling policies may have an effect, industry insiders say the increase in waste disposal signals an improving economy. Waste volume as an indicator of economic strength is bolstered by DEQ data reporting significant decreases in solid waste disposal between 2007 and 2016. 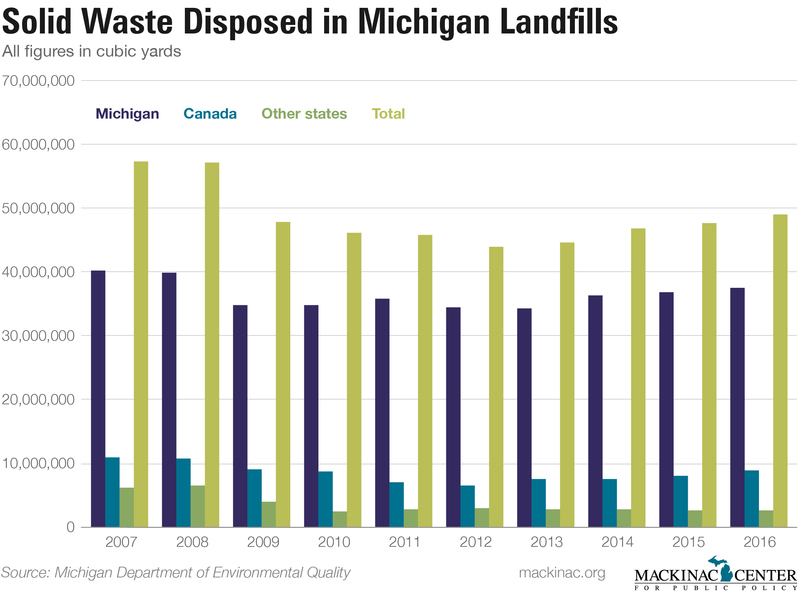 While nearly 57.4-million cubic yards were disposed of from all sources in Michigan landfills in 2007, that number decreased steadily to a low of 43.9-million cubic yards in 2012. Solid-waste disposals in 2016 were up significantly at 49.1-million cubic yards. But the conclusion may understate the economic upswing, said Te-Yang Soong, vice president and principal engineer with CTI & Associates, Inc., an environmental, remediation and construction contractor headquartered in Novi. “That assessment may hold some element of truth since conventional wisdom suggests that landfills are the last to see the economic impact of a downturn, but the first to be positively impacted by an economic upswing,” he said. 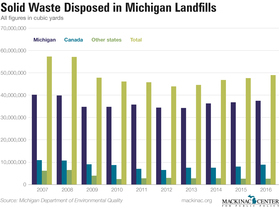 At their current capacity, Michigan landfills can, on average, receive waste for another 27 years, up from 17 years projected in 2007. Horton explained that the state is only able to report what is currently reported and under a permit. He noted that landfill operators only request DEQ permits based on immediately projected needs rather than long-term forecasts. “Just like home builders only seek permits for the house they plan to construct in the coming year, landfill operators also make plans based specifically on what they need for the immediate future, making adjustments according to need,” said Horton. Michigan trades its trash with other states and Canada. 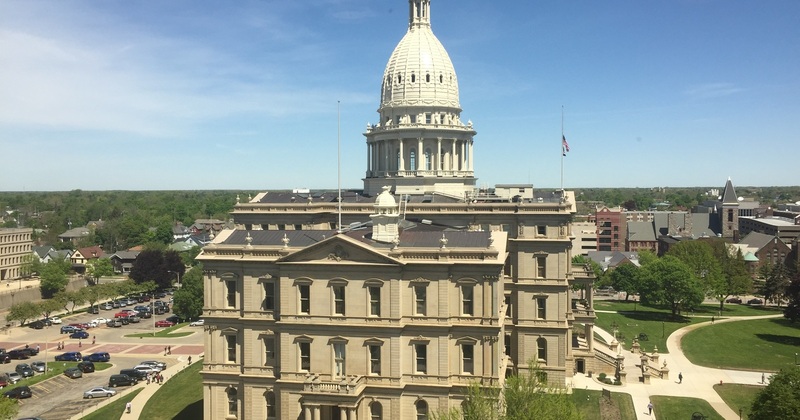 Although the DEQ reports 23.6 percent of all waste disposed in Michigan is from Canada and other states, Horton said Michigan exports municipal and commercial waste to other states and sends hazardous waste to Canada. For example, the Ohio EPA reports Michigan exported nearly 15 tons of solid waste to Ohio in 2015. Ohio, in turn, exported nearly 437,000 tons of solid waste to Michigan. Interstate trade in trash varies year to year according to contracts, fuel prices and tipping fees (the cost to unload trash at a landfill). For example, Wisconsin imported 10,000 tons of Michigan waste in 2014, which was down from 50,504 tons in 2009. By comparison, the Badger State imported 1.4 million tons of waste from Illinois in 2005 and only 76,000 tons in 2014.